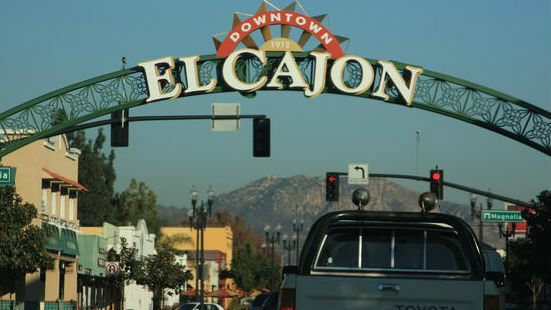 The city of El Cajon announced Wednesday that a $919,000 grant will be used to help improve the flow of traffic along major roadways in the East County community. The project will include upgrades to 26 traffic signals along Fletcher Parkway, Broadway, Magnolia Avenue and other streets that carry a lot of vehicles, according to the city. Around 50,000 feet of fiber-optic cable will be laid to connect the signals, video detection cameras will be installed, and an adaptive traffic signal system will be used to improve timing. City officials said they hope the project results in fewer traffic collisions. The project will also include Arnele, Johnson, Madison and Marshall avenues. Work, funded by the federal Highway Safety Improvement Program, is set to begin next June and take about two months, according to the city. The city has received three HSIP grants recently, totaling nearly $1.6 million.